The Future of Sports Betting - How will sports betting be legalized in the United States and what will the marketplace look like? There are no immediate plans for Patent No. 0125691. The description contains plain words like "computer," "real-time" and "online." Figure 2, an accompanying diagram, shows the system's entire process in an eight-step flow chart that ends with "determine payout of event." The patent application, published on May 6 by the United States Patent and Trademark Office, remains pending. But don't let its apparent simplicity fool you: This patent application is held by Microsoft, and it could be a critical piece of a future with widespread legal sports betting in the United States. • Congress is in the early stages of reviewing federal gambling laws and plans to introduce comprehensive legislation that will address sports betting, daily fantasy sports and other forms of online gaming. • Some of the world's largest tech companies are expected to emerge as bookmaking giants that will compete against established U.S. and international sportsbook operators, state lotteries, Native American gaming interests and fantasy sports sites for a share of the market. • Stock market-like sports betting exchanges will be created to cater to the more sophisticated bettor, while also presenting the sports leagues with a potential opportunity to profit directly off of legal sports gambling. • Robots -- fueled by dynamic algorithms, motion-tracking cameras and microchips capable of ingesting troves of real-time data from athletes' bodies -- will increasingly dominate high-stakes sports betting. • Legalization may produce pitfalls, including increases in gambling addiction and gambling-related advertising, which have plagued other jurisdictions with legal sports betting. While opinions vary on when a legal market may take shape in the U.S., who the biggest bookmakers of the future will be and if American society can handle what will be a dramatic shift in sports culture, experts almost unanimously agree with NBA commissioner Adam Silver's prediction: Expanded legalized sports betting is "inevitable." In this multi-part series, ESPN examines a future landscape with widespread legalized sports betting in the United States, beginning with potential paths to legalization and what the resulting marketplace may resemble. The mainstream acceptance of sports betting is peaking. Cash-strapped states are starting to see sports betting as a potential source of revenue more than a detriment to society. The point spread and betting action in Las Vegas are now popular storylines for every big game, and for the first time, a commissioner of a major professional sports league has come out in support of legalizing sports betting. There simply has never been this much momentum to legalize sports betting outside of Nevada. But momentum and definitive results are two very different things. As of now, state-sponsored gambling is illegal outside of a handful of states, with single-game wagering permitted only in Nevada. Some in the U.S. government feel it's time for a change and that the current federal gambling laws --most notably the Professional and Amateur Sports Protection Act of 1992 (PASPA), Wire Act of 1961 and the Unlawful Internet Gambling Enforcement Act of 2006 -- aren't appropriate anymore and need updating. "The laws need a wholesale review to see how they can actually work together and create a fairer playing field for all types of gambling, both online and offline, including sports betting and daily fantasy sports," U.S. Rep. Frank Pallone Jr., of New Jersey told ESPN. "At the same time, we must ensure the laws are actually creating an environment of integrity and accountability, and include strong consumer protections. "I plan to continue discussions with the key stakeholders and then will introduce comprehensive legislation to finally update these outdated laws." In addition, lobbying efforts led by the American Gaming Association are set to begin in 2017. "The next [U.S.] president is going to have that issue of legalizing sports betting on their desk," AGA CEO and president Geoff Freeman has said. But all the sports leagues are not on board, yet. They are, however, strategically positioning themselves for widespread legal sports wagering. The NCAA and NFL remain publicly opposed to legalization. The NHL and Major League Baseball, while showing signs of a softening stance, have stopped short of coming out in full support. Even the NBA, by far the most outspoken proponent of legalization among the sports leagues, has repeatedly said it's not ready to contribute to direct lobbying efforts. "We've been supportive of legalized sports betting, and we'll continue to be supportive," NBA senior vice president and assistant general counsel Dan Spillane told ESPN. "If someone in Congress were to ask our view on a bill that's proposed, then I'm sure we'd be happy to participate and weigh in." The leagues have financial stakes in daily fantasy sports sites and a sudden interest in Las Vegas, and have struck deals with data companies that fuel the international sports betting market. The NFL, NBA and NHL have deals with Sportradar, a Switzerland-based conglomerate that is the parent company of Betradar, a major player in the global sports betting industry, and Major League Baseball has partnered with Genius Sports, a multi-faceted gambling data firm located in London. Even the NCAA has a commercial affiliation with Sportradar, with the Pac-12 conference using the services of CG Analytics, a subsidiary of a prominent Nevada sportsbook. These partnerships represent a profound shift in the leagues' position on line monitoring, the task of tracking gambling data in an attempt to identify unusual moves or unnatural money. As recently as 2007, representatives of the NBA, NCAA, NHL, MLB, and NFL sent a letter to Congress dismissing the value of line monitoring. In addition, game integrity concerns -- often cited as a reason to oppose regulated sports betting -- are now increasingly being used as a reason to support legalized sports wagering, given the ability to track statistical data. While the leagues' stances are shifting gradually, experts say sports betting of the legal variety is still years away from arriving at your local casino or on your mobile phone. "My heart says it should be one to three [years]," former NBA commissioner David Stern told ESPN in September. "My head says it's between five and 10." Individual states might not wait that long. New Jersey has invested millions of dollars in legal fees while fighting the sports leagues and challenging PASPA (the federal prohibition on state-sponsored sports betting) in its ongoing case that began back in 2012. In October, New Jersey filed its second appeal to the U.S. Supreme Court on this issue. This summer, Pennsylvania passed a resolution urging Congress to "lift the Federal ban on sports betting and to allow states that authorize, license and regulate casino gaming, including the Commonwealth of Pennsylvania, to legalize sports betting through its licensed facilities." And New York Assemblyman J. Gary Pretlow is currently planning a 2017 legal challenge to PASPA. While it's clear that states are already taking steps, it is unknown exactly how many would begin offering legal sports betting if the federal prohibition were lifted. Estimates range from less than half to as high as 48. "[If] PASPA gets amended, I think you'll see five to 10 states opt in quickly and offer it," Tim Wilmott, president and CEO of Penn National Gaming, Inc., said. "There are places like Utah, Hawaii, Tennessee, some states down in the South, that I think are going to be slower to accept it." The landscape in some of the states that do opt in may be different than that in the United Kingdom, where sports betting is legal and retail bookmaking shops are commonplace on city streets. More conservative states likely will restrict sports betting to casinos and horse racing tracks; others may allow locations that sell lottery tickets to accept sports bets; and some will have betting kiosks at sports bars, gas stations and liquor stores. Eventually, though, almost all sports betting will take place online, experts say. 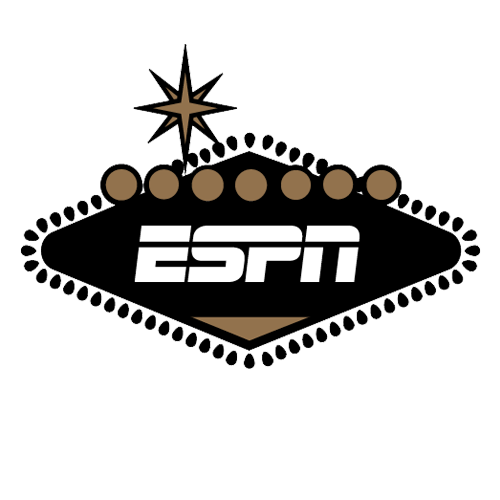 "Online is where everything is going," John McManus, executive vice president and general counsel for MGM Resorts International, told ESPN this summer. "That's where people are going to want to place bets. That's where it makes sense to place bets and to be done safely." A widespread, fully mature online sports betting market in the U.S. would be the largest such market in the world, according to research from industry trade publication GamblingCompliance. By the time the U.S. gets to that point, though, everything about sports betting will have changed, from the way bets are placed, what games and events are the most popular to bet on and even who is taking the bets. "Providing a mechanism for a state to legalize [sports betting] doesn't have to be rocket science," said Sue Schneider, an industry veteran who has testified before Congress and consults on gaming issues. "The rest of the world has been doing this successfully for decades. We just need to look around to see the best practices. "Up until recently, I always felt that sports betting would never be legalized in my lifetime," Schneider added. "With rumblings among some of the sports leagues [that] seem to realize that the writing is on the wall, I already see a change in the landscape." While different avenues to legalization are explored in the U.S., several big-name companies are already lining up in anticipation of what would be a major shift in American sports culture. Familiar Nevada and European sports betting operators, like MGM and William Hill, are eyeing the opportunity, and state lotteries and Native American gaming interests also want a seat at the negotiating table, experts told ESPN. Online daily fantasy sports sites, with their infrastructure and established player bases in a coveted demographic, would appear to be in good position to offer traditional sports betting if made legal, as well. The biggest bookies in the future might not be the names you'd expect, though. A review of recent patents in the betting genre revealed Microsoft, Sony, Reuters and Wall Street financial firm Cantor Fitzgerald to be either existing holders or applicants. A number of individual entrepreneurs are in the mix, too; patent No. 8,632,392, for example, was issued in 2014 for "systems and methods for enabling remote device users to wager on micro events of games." And others have built virtual currency-based wagering systems designed to be implemented on social media platforms like Facebook. "In 10 years' time, I expect sports betting to be part of major telecommunications companies and data companies," said Chris Eaton, an integrity monitor and former investigator for INTERPOL. "I see the large international conglomerates -- Bloomberg, Google, the massive data companies -- swallowing up most of the sports betting operations around the world and operating an international platform, with all of sports betting being essentially offered on the mobile device, the mobile platform." A Microsoft spokesperson said the company had "nothing to share at this time" regarding its patent for a betting exchange or any future interest in the sports betting industry. Microsoft's patent coincides with a research paper by David Pennock, a principal researcher and assistant managing director for the company. Pennock's research produced an innovative wagering mechanism akin to pari-mutuel systems used in horse racing that Microsoft wanted to patent. There were no immediate plans for its use, Pennock said, but he does envision a future with tech companies involved in the sports betting world. "I do think that there's a lot of technology involved that's not that trivial, especially for the more innovative things that I imagine are going to happen; so some of the technology companies may be better suited than an old-school sportsbook," Pennock said. "I think maybe some of the technology companies are in better position to build the [betting] exchange in a better way." Mark Cuban, owner of the NBA's Dallas Mavericks and outspoken proponent of expanding legal sports betting, agrees. "In the short term, there will be a lot of attempts by companies big and small to use their own versions of big data to be predictive in sports, financial markets and other industries," Cuban told ESPN. "In the long term, it will come down to what sources of information and which companies will help create the most powerful learning and reproductive algorithms and who will own those algorithms. I don't have that answer and neither does anyone else at this point." If sports betting is legalized and the tech titans do get into the bookmaking game, are Las Vegas' days numbered as the epicenter of legal American sports betting? Is the traditional bookmaker an endangered profession? Art Manteris, one of the longest-tenured Nevada bookmakers, doesn't necessarily think so. Manteris believes the state's 50-plus years of regulating sports betting are invaluable and envisions a scenario where Nevada would remain a central hub for sports betting in the U.S., with bets from other states transmitted through the Silver State's established regulatory body and infrastructure. "In a perfect world, things would flow into Nevada and there would be a point-of-consumption tax, just like there is in the U.K.," Manteris explained. "If they're betting from Colorado or California, you'll get a tax credit back to your state from where that bet emanated." Recently, Nevada has taken steps to position itself for such a scenario. The majority of the state's books offer mobile sports betting in Nevada. In 2015, the state passed a bill clarifying that the state's licensed operators could manage sports pools in other legal jurisdictions, and Nevada also has set up a scheme where out-of-state bettors can invest into sports betting entities -- similar to mutual funds -- that are managed from within the state. But some Nevada operators are also advocating for expanded legalization. MGM, William Hill and Boyd Gaming are among those that have joined the American Gaming Association's coalition aimed at lifting the federal prohibition. They appear willing to surrender the monopoly Nevada has enjoyed in exchange for the ability to expand into other jurisdictions and offer one of the rare forms of gambling that is growing: sports betting. An all-time high $4.2 billion was bet on sports in 2015 at Nevada's regulated books, the sixth straight year the industry enjoyed record handle. In each of the past three years, the state's books have won more than $200 million, and they haven't suffered a losing month since July 2013. While business is booming, Nevada remains a small portion of the enormous American sports betting pie. Experts estimate more than 90 percent of all sports betting in the U.S. takes place outside of Nevada, mostly through offshore sportsbooks located in the Caribbean and Central America. That behavior must change if the U.S. market is going to fully mature, but moving bettors from the unregulated market to a newer legal one won't be easy. There are dozens of online books, the largest handling more than a $1 billion a month during football season, an industry source said. For the most part, the offshore industry has evaded U.S. laws and continues to serve America's thirst for sports betting without being saddled with added costs of regulation. "We have to remain economically competitive with the offshore market, in order for it to go away," Joe Asher, CEO of William Hill's U.S. operations, said. "And, ultimately, that is what happens: People, given the choice, prefer to be in the legal, regulated market." It's going to take more than just offering competitive odds for a new regulated market to take a bite out of the established offshore market, one longtime offshore bookmaker told ESPN. "If they want to go against the offshore, they have to have the same type of menu that the offshore does, which includes all the props, all the live [betting]," said Scott Kaminsky, a veteran of the offshore market and now the sportsbook director at TheGreek.com. "If they do it the right way and you can bet anywhere inside the U.S., I think they'll maybe convert 35-40 percent of the people off of the offshore back to the states." Marisa Lankester, author of "Dangerous Odds: My Life Inside an Illegal Billion Dollar Sports Betting Operation," believes offshore operators will continue to use cutting-edge technology to stay ahead of the game, even if the U.S. legalizes sports betting. Sources said operators desiring secure phone lines have considered purchasing an entire telecommunications company on an island, and some bookmakers are already moving operations onto yachts in international waters. A commercial satellite engineer told ESPN that such technology "already exists." "This is the modern version of the old riverboat casino and my source tells me it is already being done," Lankester said. "Satellites have this capability, and successful bookmakers have the means to invest in yachts, batteries, et cetera." There's also a platform being designed that would take the bookmaker completely out of the equation. "I see potential for large bets or bets with untaxed money being taken through the anonymity of the dark web," Lankester said. Enter Augur, where anonymity rules. Every stock exchange -- and its sports betting cousins Betfair, Matchbook and Smarkets -- is centralized, meaning each bet starts and ends in the same place. Augur, which recently entered beta, is a decentralized prediction market fueled by virtual currency. Users are free to offer or match a plethora of sports-related options. Many markets will pose binary "Yes" or "No" questions, like, "Will the Chicago Cubs win the World Series in 2016?" for example. The Augur platform will be available to anyone willing to deal in e-money. Jerry Brito, the executive director for Coin Center, a nonprofit research advocacy center focused on cryptocurrency and computing technologies like Bitcoin and Ethereum, believes a decentralized sports betting exchange market is the future. "You can imagine a decentralized sports books that is provably fair," Brito said. "It's cheaper, because the cut that the book takes is incredibly small, because there's no company there, there's no overhead, besides the network. And because it's potentially global, it could be a really big book with a lot of bets. That's going to be very interesting to watch." Sophisticated sports bettors in the future may be able to place their bets on U.S.-based peer-to-peer exchanges as well. The process for regulatory approval of such betting platforms has already started at the federal level and in Nevada, multiple experts said. As early as 2008, records obtained by ESPN show that Google, Yahoo, Microsoft and others in the technology sector made written filings to the Commodity Futures Trading Commission (CFTC) in support of expanding so-called prediction markets into the public sphere. The CFTC, which regulates futures and options markets, is currently considering the legality of an exchange-type platform that could include sports, two sources told ESPN. A CFTC spokesman declined to comment on any pending case that was not yet in the public record. A betting exchange is the functional equivalent of a stock exchange for sports, where bettors can offer or take positions on sports events. In such an exchange, every bettor becomes a miniature bookie, proposing potential wagers and waiting for one or more others to bite. For example, a $100 point-spread bet on a certain team could be matched by another bettor in full or by four bettors at $25 each. It's a peer-to-peer model, with the platform charging a commission fee. In 2010, Betfair, the mammoth London-based betting exchange that revolutionized sports gambling in Europe a decade ago, was granted an American patent titled "Betting Exchange System." The 22-page documentation for patent No. 7,690,991 includes a subsection on point-spread betting, noting that it is "particularly popular in the U.S."
Betfair began operating a horse racing exchange betting platform in New Jersey earlier this year after several years of legal wrangling. Smarkets, a smaller betting exchange operator based in Europe, recently announced plans to open an office in the U.S.
"I think more and more the peer-to-peer, exchange style will be the way that wagering happens in the future, both in terms of gambling and in terms of prediction markets," Pennock, the Microsoft researcher, said. The exchange model would seemingly give the sports leagues an opportunity to directly monetize sports betting, something experts said may be all that's stopping them from reversing their decades-long opposition to legalization. "If the sports leagues directly benefit, then there may be more of a buy-in from them," said Tobias Moskowitz, a Yale finance professor and co-author of "Scorecasting: The Hidden Influences Behind How Sports Are Played and Games Are Won." In the exchange model, the leagues wouldn't have a stake in the outcome, like a traditional bookmaker. Instead, they could profit off of how much is wagered through a trading commission, tacking on a data surcharge or a "right to offer bets" type of licensing fee as is found in other countries. Not everyone believes the exchange model will be the dominant platform in a future regulated market, though. Asher, William Hill's CEO in the U.S, said the exchange is the niche product. "The mass-market product is the traditional form of sports betting like we have in Nevada," he added. The NBA's Spillane, while familiar with the exchange model, says the league hasn't determined whether a certain betting platform is better than the rest. "Legalized sports betting shouldn't select one subset of the industry, necessarily, to be the 'one,' as opposed to having regulations in place that make sure whatever model ultimately is used or wins the market is going to be something that provides adequate protections from an integrity and consumer standpoint," Spillane said. "One of the goals is to give people who are interested in betting on sports an incentive to switch from illegal markets to legal markets. And backing or selecting one particular form of betting to the exclusion of others, I'm not sure that's going to accomplish that goal." Paul Clement, the lead lawyer for the five leagues (NCAA, NFL, NBA, MLB, and NHL) in the ongoing New Jersey sports betting case said that a permissible exception to PASPA would be wagers up to $1,000 between individuals. Clement described it as a "friends and family" plan. In a court decision in September, a panel of judges endorsed Clement's position as illustrative of measures states could take that wouldn't run afoul of the federal ban. Gaming regulators in Nevada also are considering sports wagering exchanges. Quinton Singleton, a vice president for sports betting technology provider NYX Gaming Group, has been writing regulations for a potential Nevada sports exchange and expects movement in 2017. In addition, the Silver State Sports Exchange is working to get approval for a phone app that would allow anyone located in Nevada to offer bets, but only gaming license holders, like the state's sportsbooks, could accept wagers posted on the exchange. "The books will be able to take whatever they need to satisfy their particular risk for the day," said Silver State Sports Exchange founder Pete Korner. "We think we're going to increase handle, increase churn and therefore profitability as the state as well." In a 2012 deposition, former baseball commissioner Bud Selig described sports gambling as "evil" and "the deadliest of all things that can happen" to sports. Four years later, a more pragmatic approach is now emerging among sports league brass, government policymakers and law enforcement, signaling a future with expanded legal sports betting in the U.S. appears to be on the horizon. "We think the integrity of the game is the most important thing, and we believe that our current position is the right way to be able to handle that," NFL commissioner Roger Goodell told The Associated Press in April. "But on the other hand, if changes happen, we'll be prepared for those." Coming in Part 2 on Thursday: Who will be the bettors of the future?